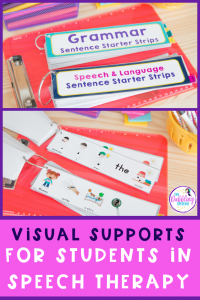 Early on in my career as an SLP, I knew that many of my students benefited from visual supports to comprehend speech and language tasks. There were many sessions when I was scrambling to scribble out visuals to help my students understand a concept. You can relate, right!? In the early days, I didn’t always have the visuals, or the time to make the visuals I wanted. 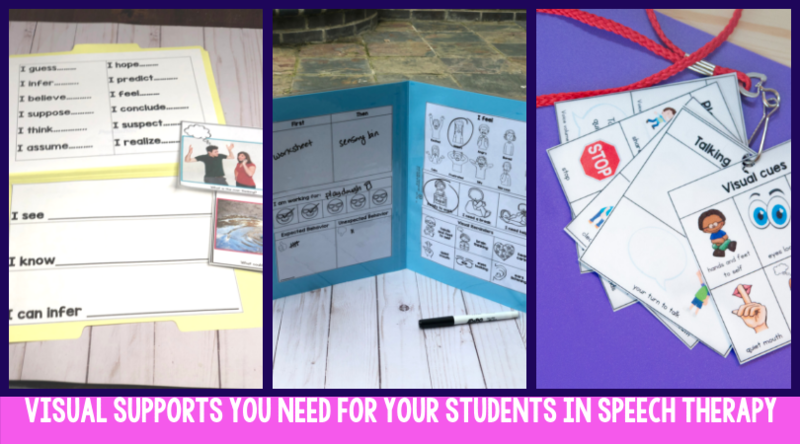 With more years of experience, and the help of the internet, I have developed or found visual supports that are staples for my speech sessions. 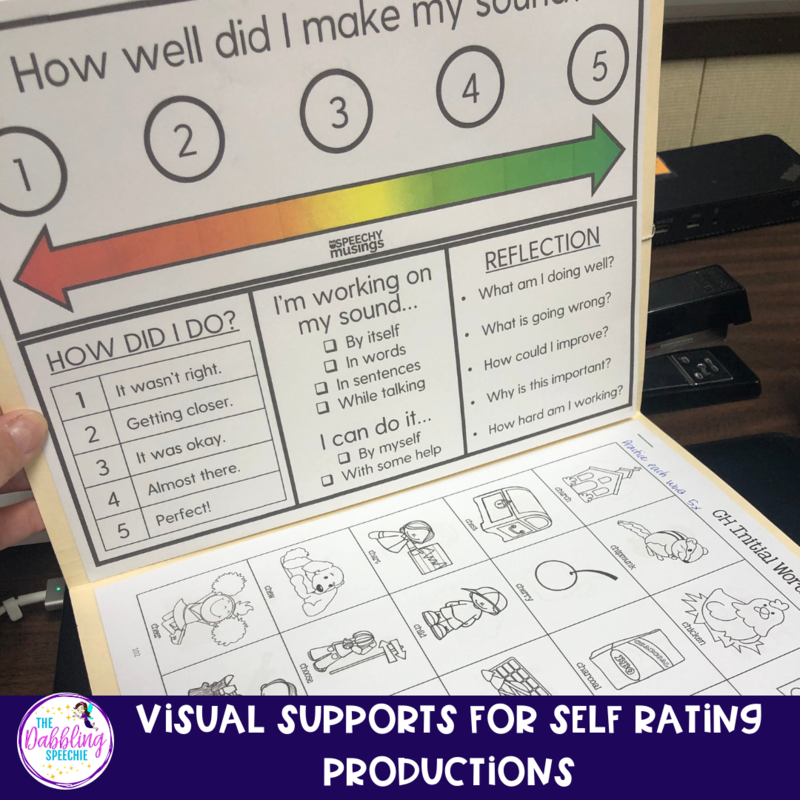 Visual supports help our students process information presented orally. They can also help reduce the cognitive demands placed on the brain when trying to comprehend or expressively use a new language skill. 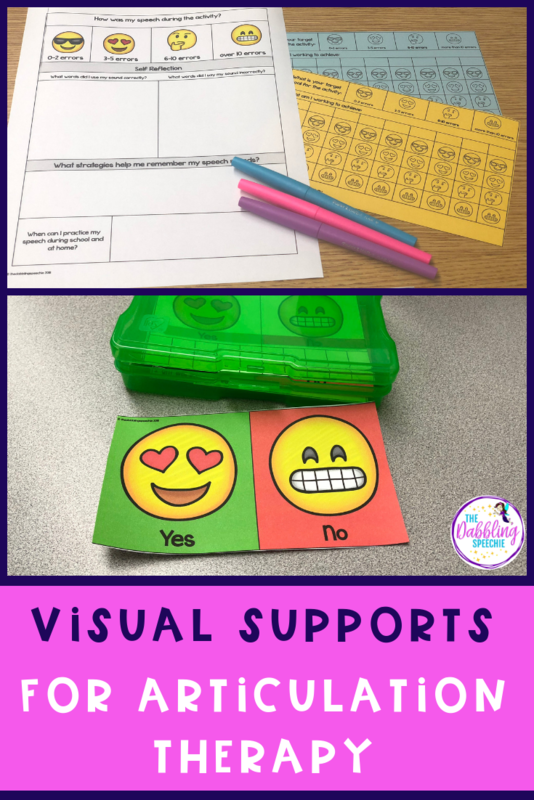 Visual supports can also help our students be able to better communicate when they are upset or don’t have a strong expressive skills to let us know what they are feeling or thinking. 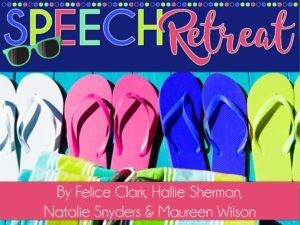 Many of my students working on 1-2 sound errors struggle with monitoring their speech productions. 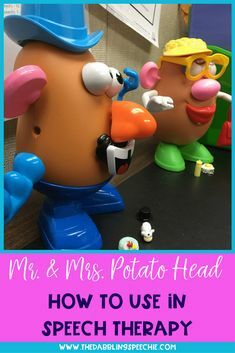 I have started incorporating self-awareness tasks to help students be more accountable for their productions. At the start of each session, we do a Yes/No visual check-in. I either produce the sound correctly or incorrectly in isolation, syllables, or words. The student then judges my production. Then, the student produces 5-10 sounds/words and judges his/her production. We do this before jumping into drill practice. 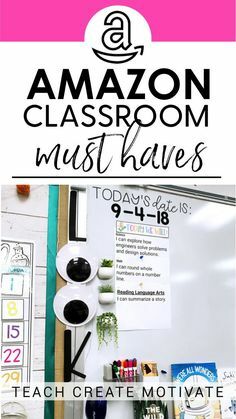 As my students progress to the sentence and conversation levels (multiple sentences, reading, structured conversations, etc. ), I incorporate self-reflection time into my sessions. 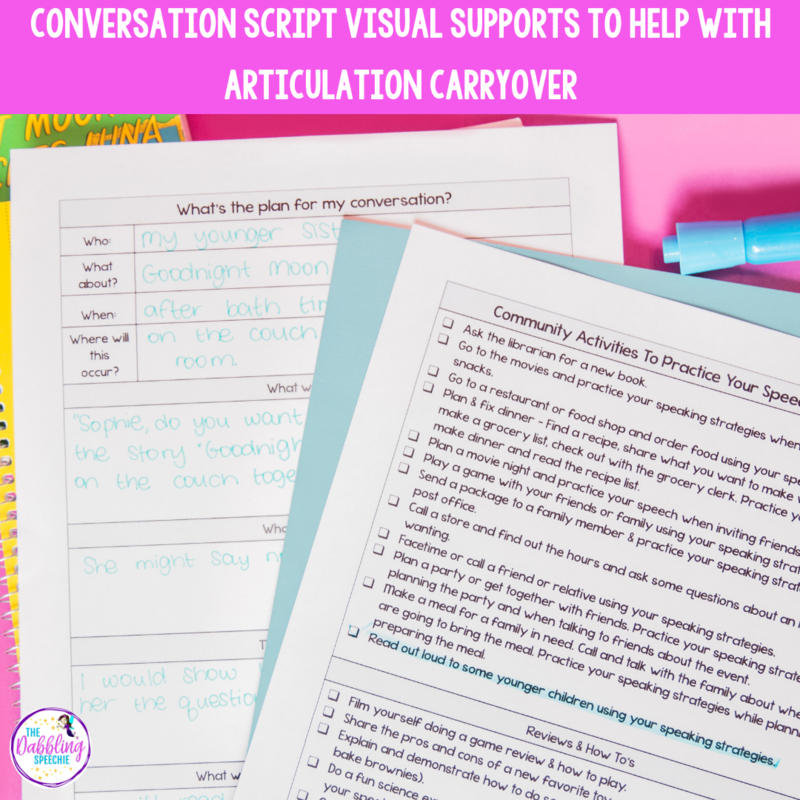 We also fill out conversation scripts for specific times, places, or people that they may need to use their correct speech. Check out my info about artic carryover HERE. 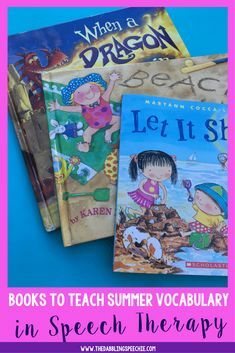 If you need more practical strategies for generalization, I have a blog post HERE you can read. It isn’t super helpful to tell articulation students whether or not their production was correct. I notice a lot of my students get discouraged if I say a lot of “try again” or “nope, wasn’t quite right.” When I give more specific feedback about their production, the student can see when they are on the right track, but may need to adjust their production slightly. I really love Speechy Musings’ production feedback visual that you can download for FREE here. 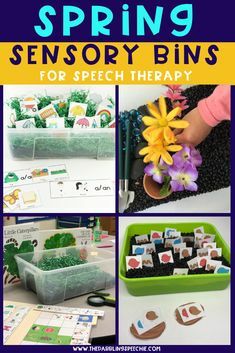 I have used it in therapy and also sent it home for parents to use with the student as well. I love using file folders to make home programs. 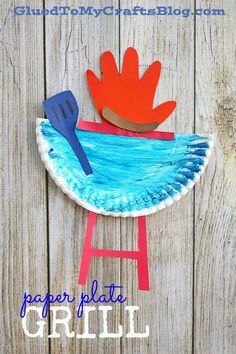 You can check out how I make a home program using a file folder and this visual HERE. 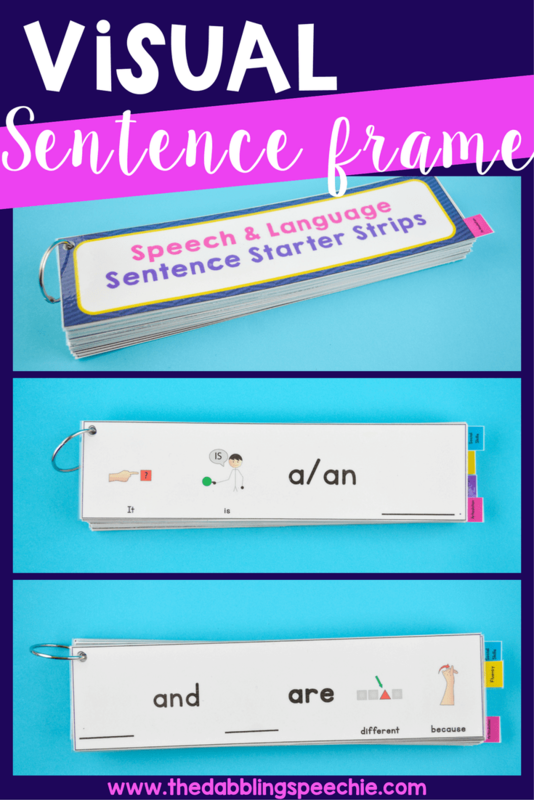 Having visual sentence strips or sentence frames for my students has helped so much when learning a new skill. 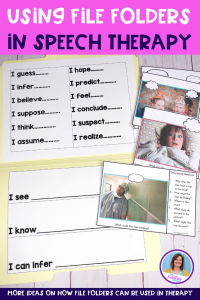 You can read more about how to use sentence strips in therapy HERE. 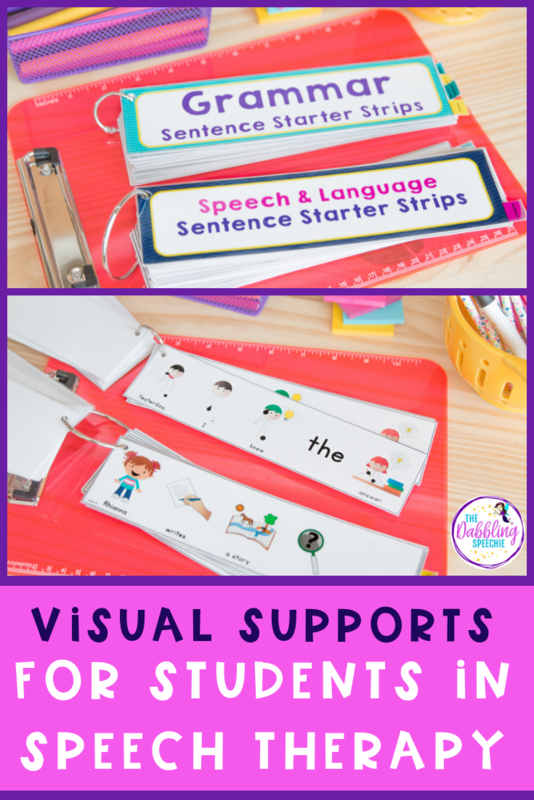 My visual sentence starter strips have been handy for my mixed groups because I can easily find the sentence strip for different students. 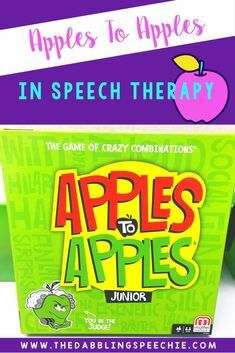 They include articulation strips, fluency, grammar, language, and social skill strips. 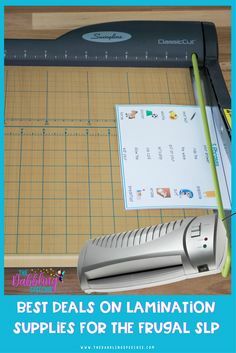 No more writing on sticky notes! When working on inferencing skills, I like to incorporate visuals. Many of my students with social pragmatic weaknesses or language disorders struggle with making inferences. Some of my students can make inferences, but then have NO idea how they got their answer. So, I like using sentence frames to break down the skill. We first work on what we “see” (concrete details), then talk about what we “know” (accessing scheme and background knowledge). Then, we each make a “smart guess” about what the person could be feeling/thinking or answer a higher order thinking question. 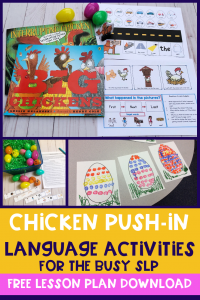 Many teachers are wanting their students to use more academic language when explaining their answers, so I like having those visually displayed, so my students can start to practice using those vocabulary words in context. Need this free visual support? 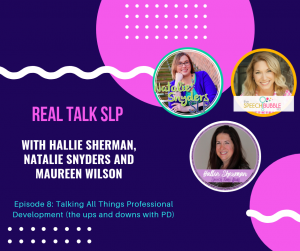 Head over to my TPT store. I have a lot of students working on following routines and expectations. 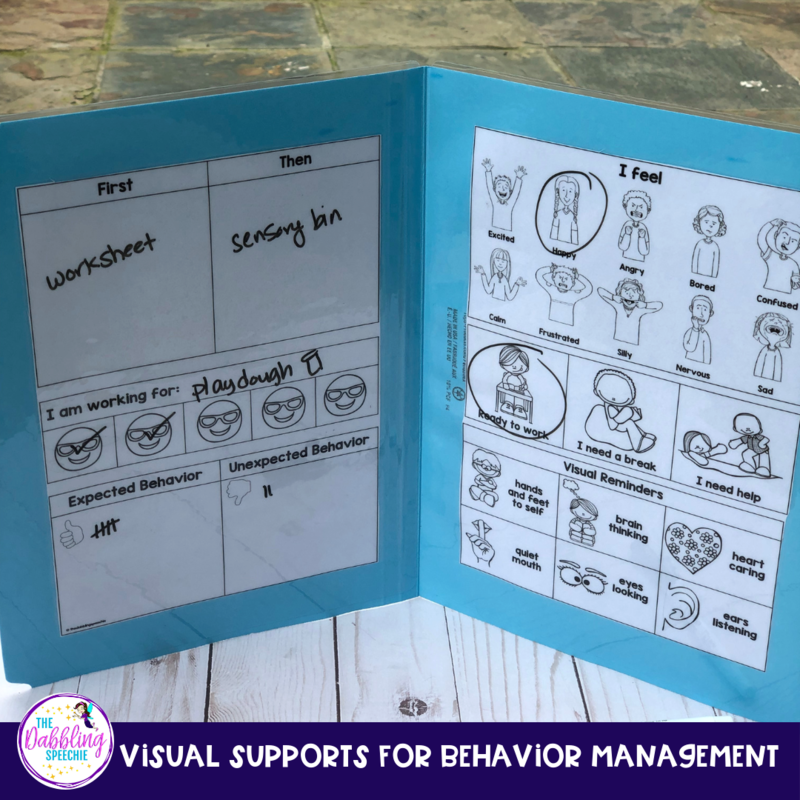 Many of my students benefit from having a working for chart, first/then visual, and visual reminders for what their bodies need to be doing in a session. That’s why I decided to put all my frequently used visuals in one place. I just printed it out, glued it to a file folder, and laminated the file folder. Then, I could re-use the visual supports using a dry erase marker. 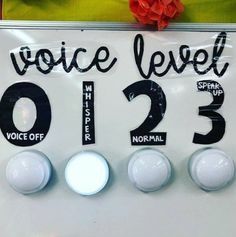 I love that I can use this for multiple students at one time. If you need this visual, hit the pink button below for this free download. Need more ideas for using file folders? Check out this blog post, HERE. 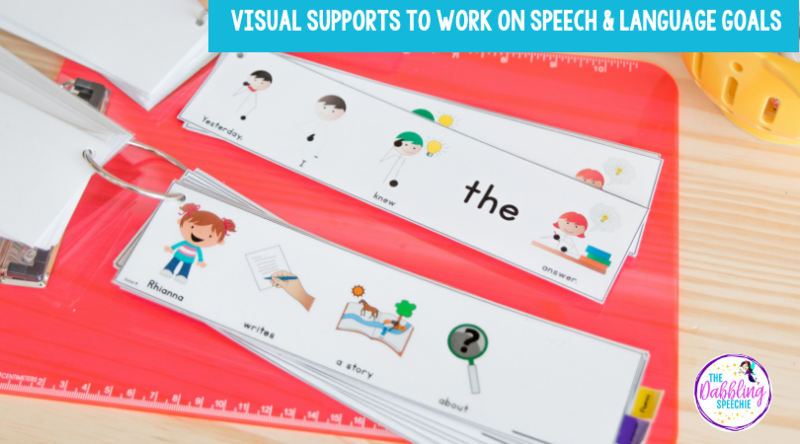 What Visual Supports Do You Love Using in Speech Therapy? 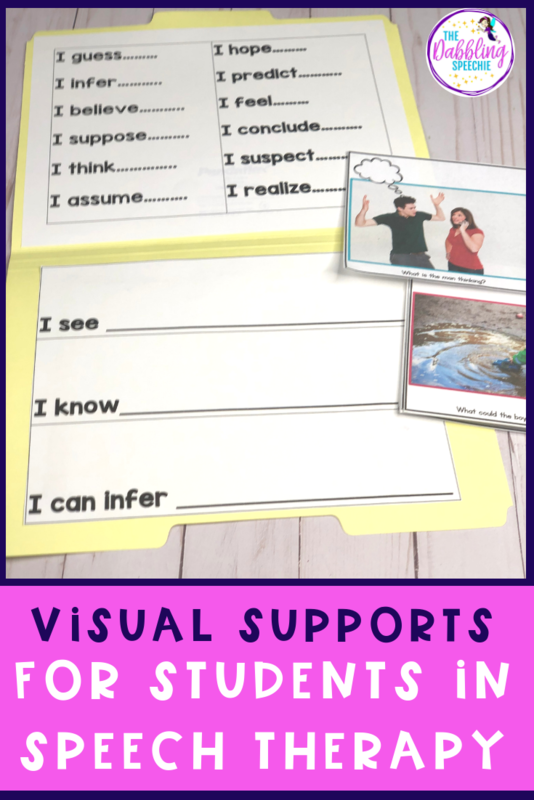 I would love to know what visual supports you have found helpful for your clients or students. 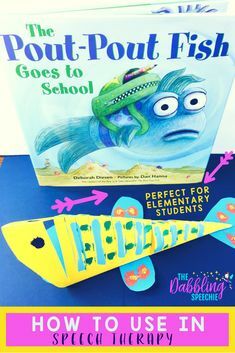 Share the visual in the comments or tag me on social media at @thedabblingspeechie.